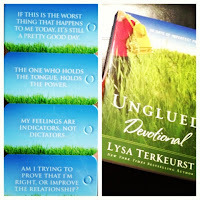 I recently read and reviewed "Unglued: 60 Days of Imperfect Progress” Devotional by Lysa TerKeurst, which you can see my post about here. 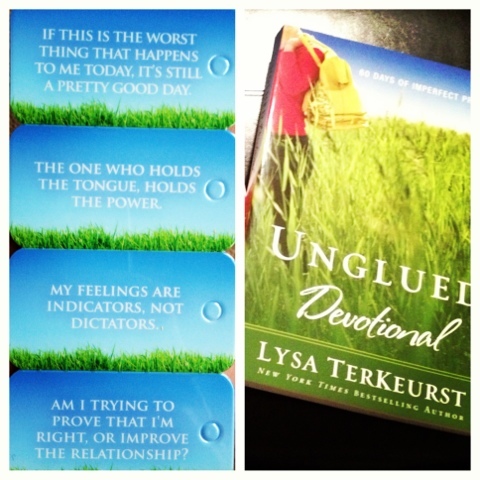 I loved the book so much that I checked out her website for extra resources and came across her "Unglued" themed key tags. I ordered several thinking of family, friends and decided to do a giveaway to go along with the review of the book. I have been using my key tags for a few weeks and found them very helpful. I attached mine to some ribbon on the outside of my purse for easy access. I find myself repeating some daily and others several times daily. Sometimes, we need an extra reminder throughout the day and I can't say enough how awesome these have been for me. I hope they will be for some of you too. 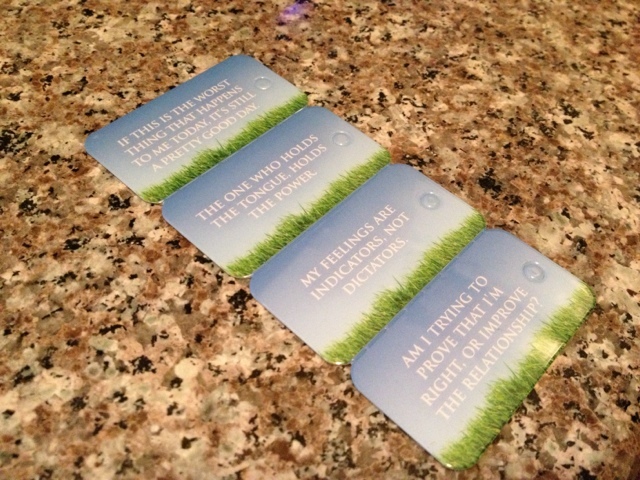 I have 5 sets of these key tags to give away to my readers. US only 18 and older. To enter, fill out the form below.